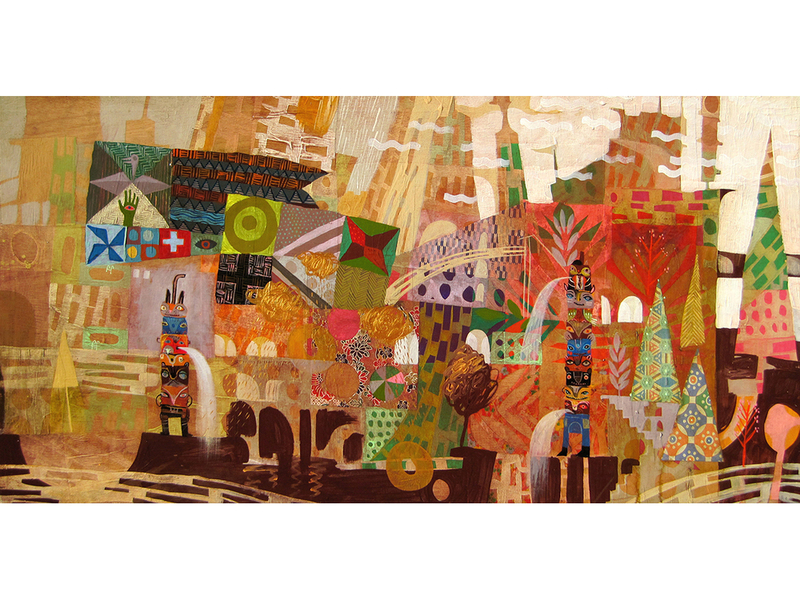 Sparkelhaus was an exhibition of paintings that were inspired by quilting. Quilting has played a key role in my work. 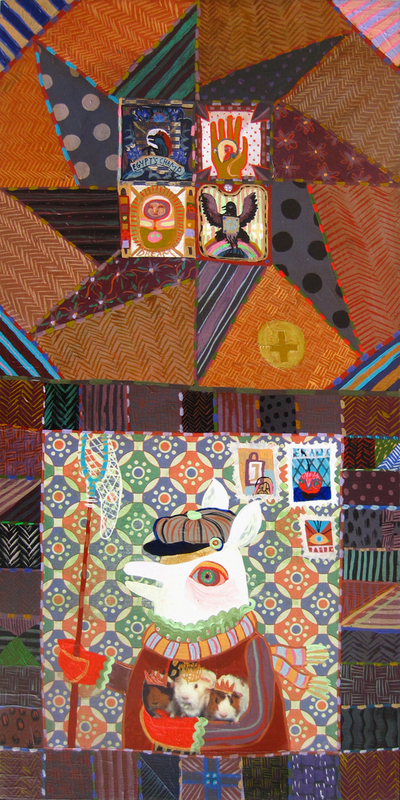 Lush with storytelling potential and symbols and clues, quilting offers a connection to local histories and the role women have played in activism, art and society. Sparkelhaus opened at Madrona Gallery in 2011 alongside work by metal artist Colin Macrae.